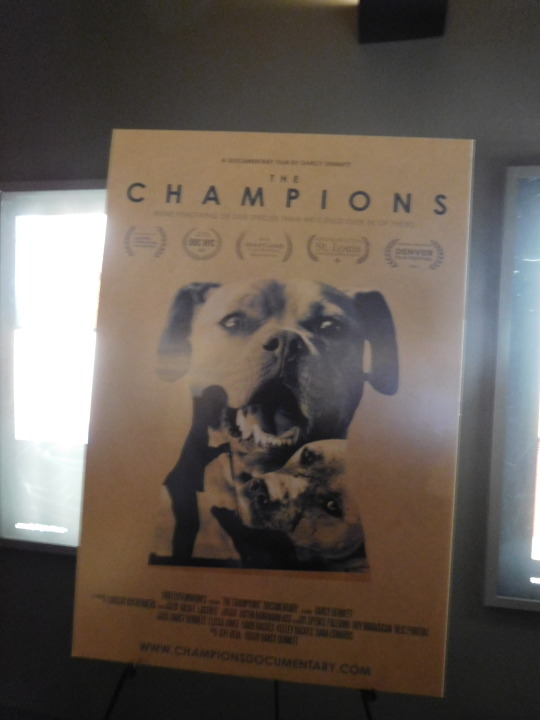 CHAMPIONS is the story of what happened to several of the dogs rescued from the Michael Vick dog fighting farm. 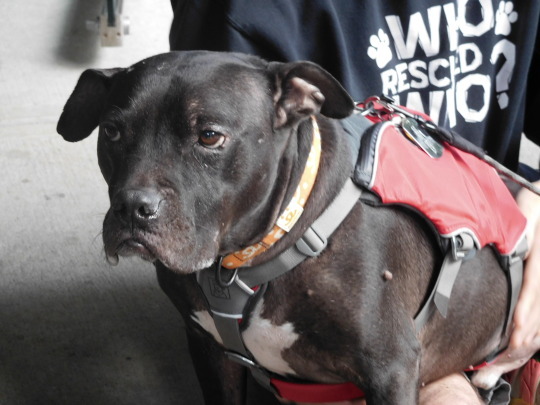 Despite calls for the dogs to be put down from PETA and the Human Society the dogs were instead sent off to animal sanctuaries where thanks to the work of the people at the sanctuaries many of the dogs found loving homes to live in. If you love animals, and even if you don't CHAMPIONS will move you. This is a great story about redemption and how finding the right environment for animals thy can thrive despite being labeled killers. 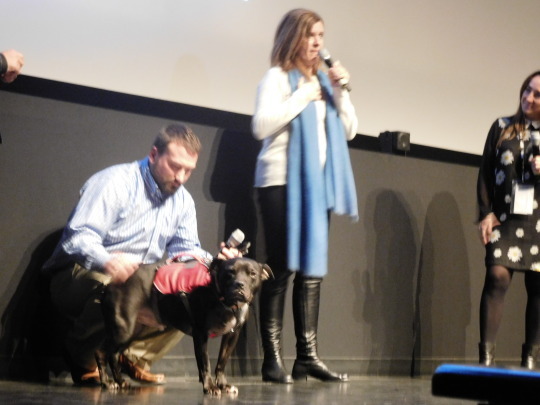 If you want proof one need only see the animals in the film like Handsome Dan, or Cherry Garcia (who I met) and you quickly realize that the animals were really move victims than monsters. These animals who at first refused to go near people came around and while all wounds aren't healed, Dan for example can't go for walks or leave places he feels safe, they are perfectly fine to be around even for children. 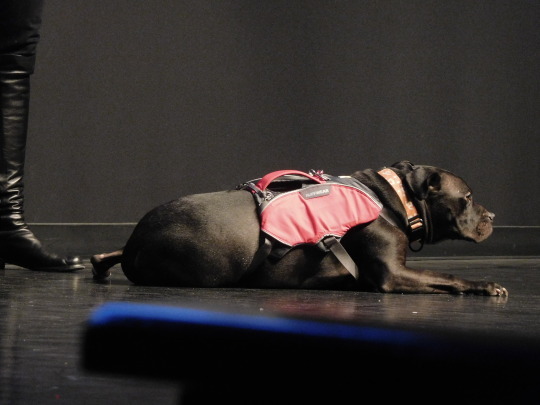 Not at all graphic, the film tries to deal with what happened and Vick as little as possible, the film still moves you deeply at the tragedy of it all because we know by how the animals react how bad things were for them. Its all implied except where we see the physical scarring. That works wonders since it makes it easier to understand the transformations the dogs make over time from frightened shells into loving companions. This is a really cool film. 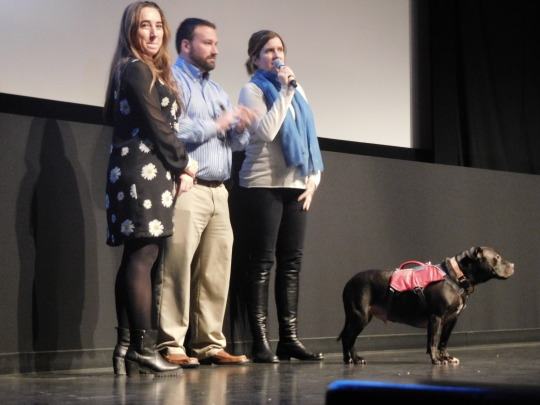 After the screening there was a Q&A with director Darcy Dennett, Co-Producer Lindsay Rothenberg, and Paul Fiaccone who adopted Cherry Garcia and brought him to the screening. 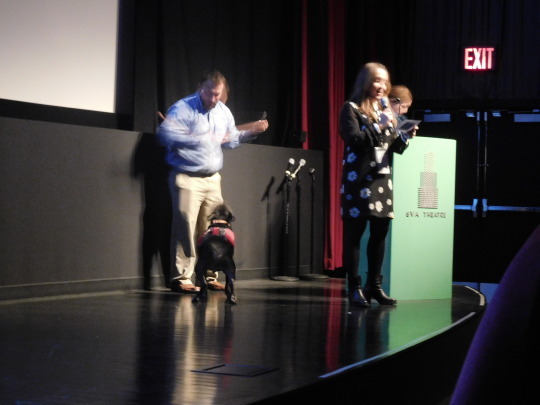 I'm not sure the talked added much since the audience seemed to want to stay off topic and simply pepper them with legal questions outside the realm of the film. Mediocre Q&A aside this is one you'll want to see when it plays in 2016- just bring tissues because you will get weepy.